Hope and Sons Funeral Directors are a family owned & operated Funeral Home. Hope and Sons offer a modern fleet of purpose-built hearses as part of our service to families. 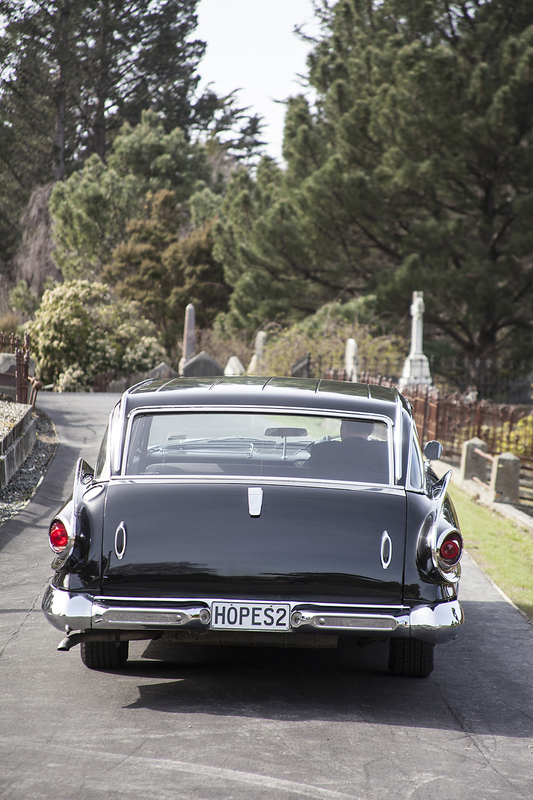 Hope and Sons offers a modern fleet of purpose-built hearses as part of our service to clients and their families. Cars to convey families to funerals can be arranged. Family Transport — In most circumstances families use their own vehicles to get to the funeral service. However we can provide cars or arrange to hire suitable cars if required. 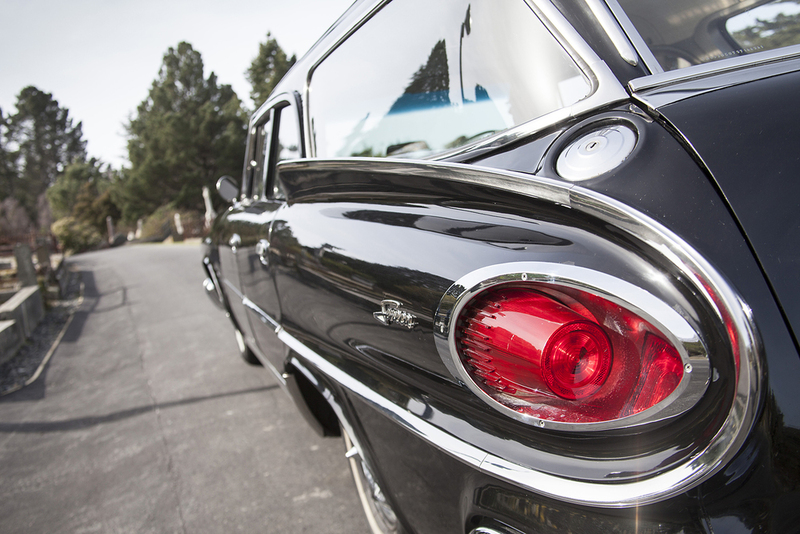 Other options available to you — In addition to the modern hearses, we have several other options for you to choose from, including a vintage hearse and a classic hearse. 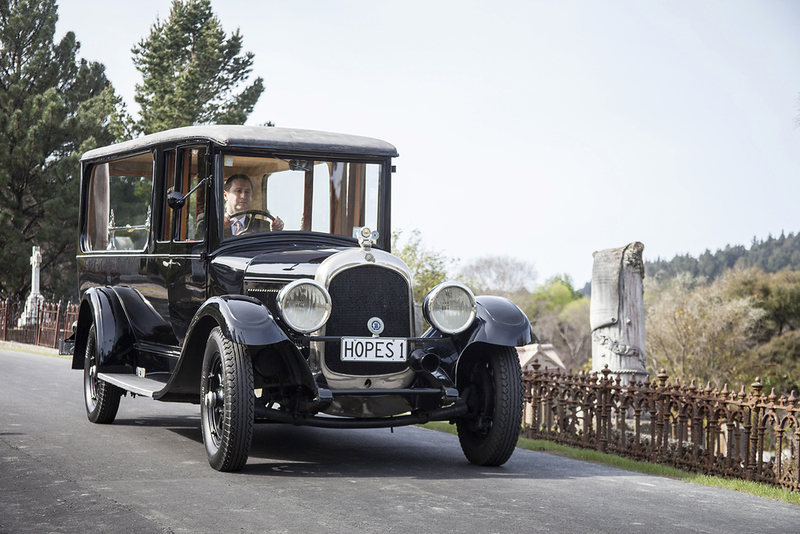 Hope's hearse fleet are smart looking vehicles providing elegance and respect. 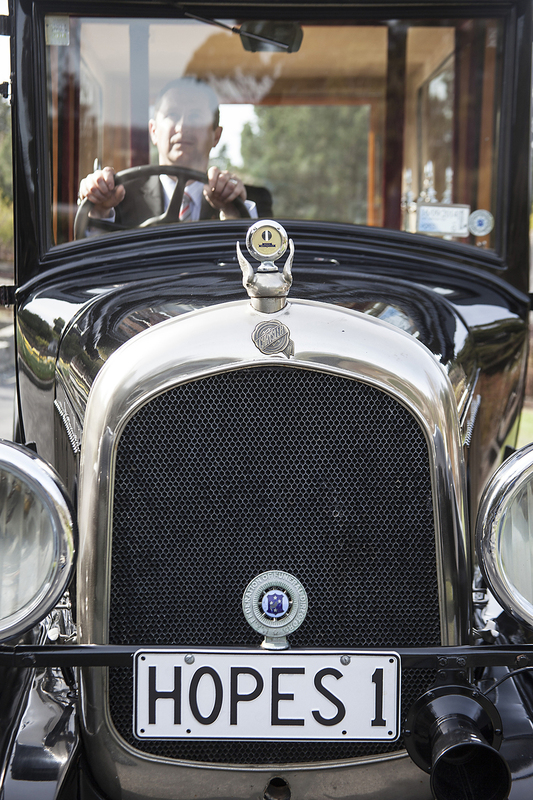 As a centennial project in 1987, the company restored a 1926 Chrysler hearse, one of the original motor hearses of Dunedin. It is now available for funeral use and was the first vintage hearse available for this purpose in our region. The 1926 Chrysler “60” was imported from Canada as a hearse, originally owned by R McLean & Sons, Funeral Directors in Dunedin. In 1979 Laurie Hampton, who ran Tillyshort's Monumental Company, owned by Hope and Sons, saw The Vintage in Clyde, Central Otago where it had been cut down and was being used as a truck. The Vintage was purchased by Hope and Sons on 10 October 1979. The previous owner was in the process of beginning the restoration of The Vintage. He had the basic framework but no body work. Hope and Sons had The Vintage trucked to Dunedin. After investigating suitable companies to restore The Vintage, we found Vintage Car Restorations in Ashburton. They were commissioned to undertake restoration work. The Vintage was there for 3 years, during which time we visited several times. Unfortunately the company went broke, and the late Sandy Long of North End Motors, Dunedin, towed it back to Dunedin. The upholstery in the cab had been completed by an Ashburton man, and the motor was in good order. Kevin Carter finished off the electrical work, Clements and Stephens did the finishing off on the body work, then it was delivered to Pat Moore, the auto painter, who completed the black paintwork. It was then taken to Mosgiel, where the floor and the lining inside the back were restored and the oak deck was installed. The rollers and fittings came from the Lindsay family, who used to be the funeral director in Queenstown. The Vintage was first registered in Dunedin on 25 May 1927, and after restoration was again registered 60 years later on 11 June 1987. The restoration coincided perfectly with the Centenary of Hope and Sons Ltd, in 1987. The Vintage has been in active service since that time and is still in regular use. In 2008 we acquired a car of the same make and model from Tapanui to use for parts. In 2009 the Chrysler was taken off the road briefly to replace and repair the motor, the brakes and steering. The Vintage is now fully restored with the new low mileage motor installed. The guards and panels have been rust repaired and repainted and the interior carpets renewed. We participated in the 2012 and 2013 USA Car Day at Tahuna Park in Dunedin. The Vintage is available for all our client families for use at funerals. 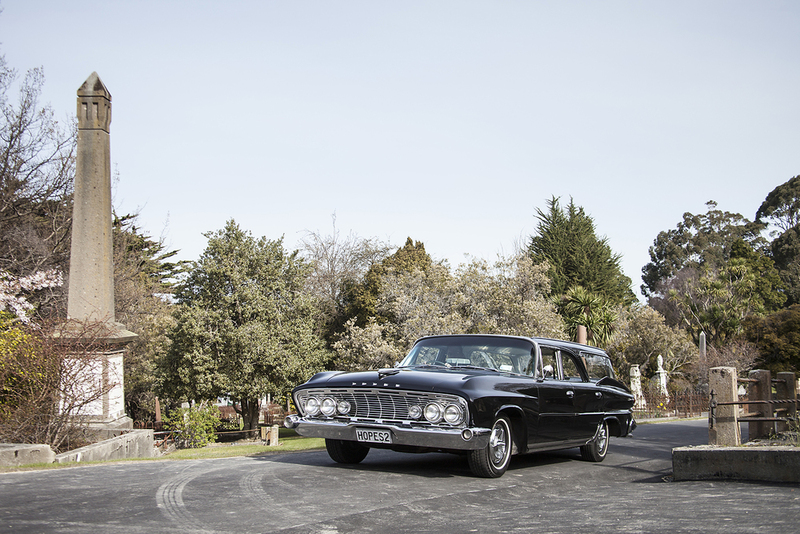 The Dodge, one of six imported to New Zealand new in 1961, was the firm's main hearse in Dunedin between 1961 and 1973. In 2009 we added an identical vehicle (from Auckland) and the Dodge is now fully restored to near its original condition. It is a lovely choice for a traditional-style funeral. In 2016 we added the 1961 Dodge Pioneer to our fleet after it was fully restored. This year (2018) we have taken the Dodge Seneca off the road for a major restoration and rebuild. We will get the Seneca back with a new v8 engine, complete bodywork, and a beautiful repaint. The Dodge arrived in Dunedin in May and Lyndon collected it from Jeffs Haulaways yard. It was in better than expected condition – very original condition. We evaluated the engine and running gear – which were given a clean bill of health by K G McLeod's – other than a bit of brake work, and a slight diff leak. The panel and paint was surprisingly good and we elected to at some stage fix some screw holes in the front guards, remove the tow-bar, fix a mirror, re-chrome the air-vents and rear bumper, and paint the rear door. The rear door handle was quickly fixed by Clements and Stephens. We will remove the crosses front and rear. Inside we have replaced all the internal carpets and door surrounds and added a new casket clamp. But ultimately the Dodge was ready for use upon arrival and has already been used on a number of funerals. We have had much reaction in our travels, parking it out the front, and when it has been at its carers. It is a 1961 Dodge Seneca. Six were imported new to New Zealand from Canada where they had been converted to right-hand-drive. Hope and Sons was an original owner, but this is not our actual one. We sold ours in about 1973 when we started using Valiant Regal station-wagons as hearses. We are pleased to be able to return a bit of classic Dunedin yesteryear to its former glory and make the Dodge available to our funerals. Our Harley Davidson sidecar hearse joined the fleet in 2018. Not just for motorcycle enthusiasts but anyone wanting to add a slightly unique element to the “final journey”. Looks stunning in white pearl and sounds even better! These big-twin motorcycles capitalize on Harley's strong value on tradition. With the rear-wheel suspension hidden under the transmission, they are visually similar to the hardtail" choppers popular in the 1960s and 1970s, as well as from their own earlier history. In keeping with that tradition, Harley offers Softail models with "Heritage" styling that incorporate design cues from throughout their history. This 45° angle is covered under several United States patents and is an engineering trade-off that allows a large, high-torque engine in a relatively small space. 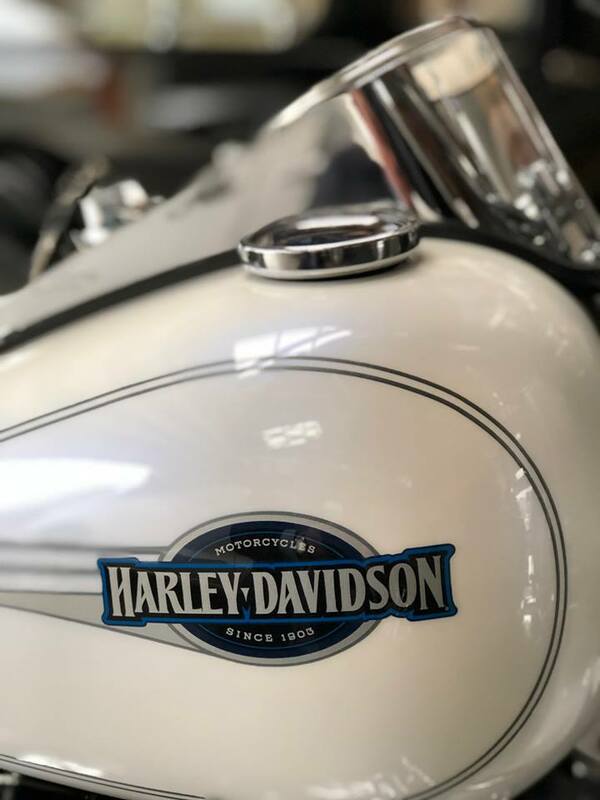 It causes the cylinders to fire at uneven intervals and produces the choppy "potato-potato" sound so strongly linked to the Harley-Davidson brand. To simplify the engine and reduce costs, the V-twin ignition was designed to operate with a single set of points and no distributor. This is known as a dual fire ignition system, causing both spark plugs to fire regardless of which cylinder was on its compression stroke, with the other spark plug firing on its cylinder's exhaust stroke, effectively "wasting a spark". The exhaust note is basically a throaty growling sound with some popping – the sound of thunder.